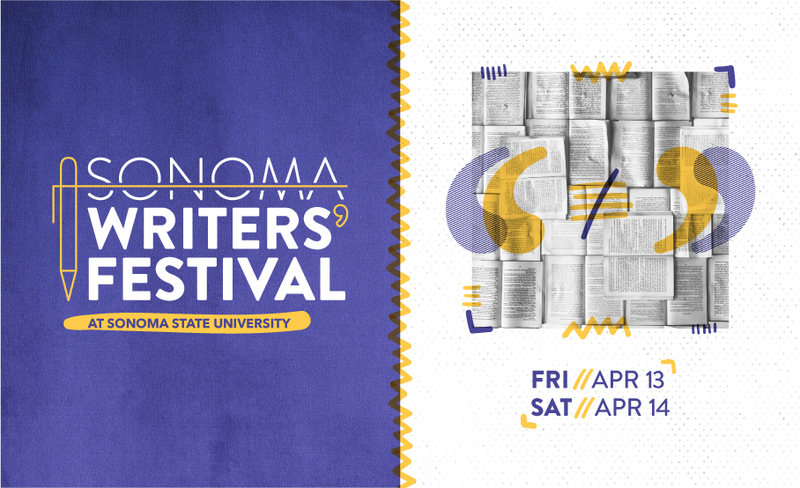 For the first time, Sonoma State University will be hosting its annual Writers’ Festival. Writers recognized both nationally and internationally will lead workshops, read their work and discuss the challenges involved with their craft. For attendees looking to learn more about literary magazines or managing independent presses, renowned editors and publishers will also be sharing their knowledge and experiences. Taking place April 13-14, those in attendance will have the opportunity to participate in workshops and panel discussions exploring various writing forms including fiction, nonfiction and poetry. One-on-one’s with SSU’s award winning creative writing instructors, networking with writers and the festival’s book fair are also part of the experience. Tickets can be purchased for the receptions with personally selected individual workshops or the opening and closing receptions alone. Purchase tickets online, and for more information visit the Sonoma Writers’ Festival website. 10 a.m. - 11 a.m. Poetry Panel - Line, Lyric, Voice: New Combinatory Movements. Kazim Ali, Gillian Conoley (moderator), Tongo Eisen-Martin, Finn Menzies, giovanni singleton. 11 a.m. - Noon Reading - Gillian Conoley, Anne Goldman, Finn Menzies, giovanni singleton, Kathleen Winter.